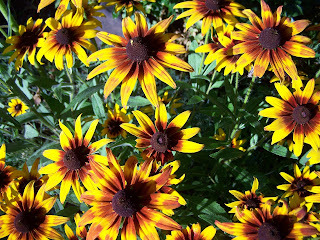 Just a few years ago I added Rudbeckia to my gardens with some seeds from my mom. I now have loads (and I mean loads, do these ever spread) of them in a few different colours. 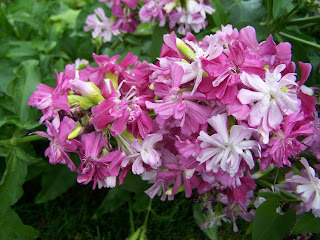 They are so cheery that I can't bear to cut the ones down that are growing right across the entrance to our home. 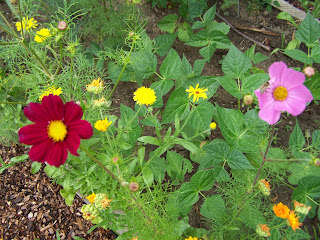 Cosmos and calendula growing by the bush beans. 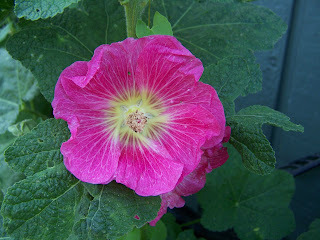 There are lots of Hollyhocks coming up in a few different colours. But what I really want to know is - what is this? It is quite pretty but no one I ask seems to know what it is. 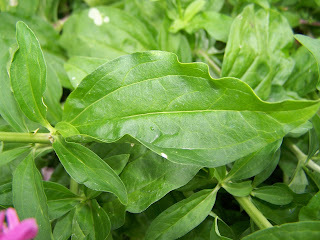 This picture is the flower... and the leaf looks like this. I'd love to know what it is.